At Iron Edge, the philosophy towards fitness is simple – hard work equals rewards. This mantra has also been integral to the success of their business, with the innovative company now enjoying the highest reputation amongst the sporting elite. Iron Edge’s innovative fitness equipment: designed for professionals and those wanting to train like one. Australia’s leading retailer and wholesaler of high performance fitness equipment, Iron Edge, has become the supplier of choice for professional fitness and sporting organizations. Whilst originally known for pioneering kettlebells in the Australian market, Iron Edge are now widely commended for their diverse and innovative range of training products used by elite athletes and hard-core fitness enthusiasts alike. The endorsements continue to flow in from top professionals who regard Iron Edge as their colleague at the elite level of strength and conditioning. “Our customers tell us time and again that they demand the same levels of performance from their fitness and gym equipment as they do from their athletes,” explains Rick Ravensdale, Director of Iron Edge. 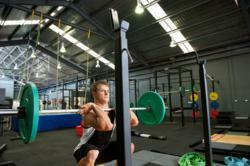 Iron Edge’s have become the default supplier for many of Australia's high performance training centres and have been responsible for outfitting the majority of Australian Football League and National Rugby League teams, Australian Defence Force bases, Sporting Institutes and Academies, and gyms with start of the art fitness and gym equipment. In addition to offering over 700 products, Iron Edge have established their loyal following of high profile customers by providing immediate attention to their needs, maintaining a close relationship with them and educating each customer on the most appropriate and safest way to use the equipment. “Supplying the product is just the first step. Learning how to use it is the real key and that’s why we go to such lengths to ensure our customers are not only outfitted with the right piece of fitness equipment, but they have the knowledge on how to use it," Ravensdale shares. 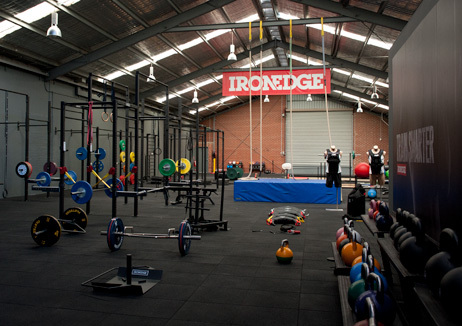 While Iron Edge have become the number one supplier for Australian sporting professionals, their founder wanted to point out that the general profile for a typical Iron Edge customer is simply someone who isn’t afraid of hard work and will train year in, year out – rain, hail or shine. To view the full range of training products, visit http://www.ironedge.com. Iron Edge is Australia’s leading supplier of high performance training products to professional sporting organizations and hard-core fitness enthusiasts. They offer personal and knowledgeable service to outfit each customer with the right equipment from their innovative and diverse range, and also provide a wide range of educational support.